Business owners have reacted furiously to plans to build a new city centre hub which could bring up to 120 buses an hour past their premises. Liverpool City Council has submitted plans to build the bus hub in the Old Haymarket area, which links Dale Street and Victoria Street. The proposals are part of a £45million bid to change the way people move around the city. Under the new scheme, the car park, currently on Old Haymarket, would be replaced by bus-only parking for up to 12 vehicles at a time. Merseytravel estimates up to 120 buses will pass through the hub every hour – two per minute. For some local firms, the possibility of this has caused grave concern. 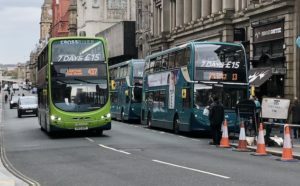 In a statement, the council said that the hub will save around 750,000 miles driven by buses on their current route each year, therefore saving 2,000 tons of CO2. 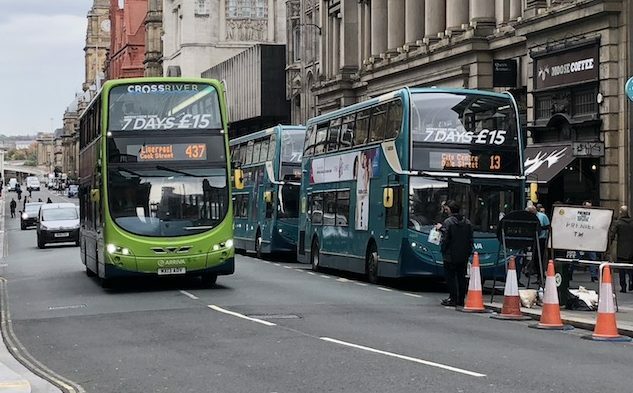 Currently, buses have to navigate through Dale Street and back along Victoria Street, and the chance to avoid this has been welcomed by Arriva bus driver, Sean Wilton. Liverpool City Council and Merseytravel were both contacted by JMU Journalism, but declined to comment on the matter.